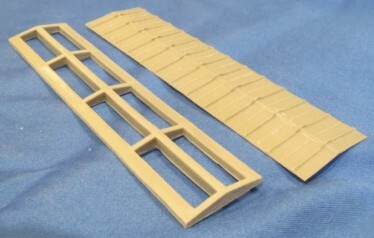 End Sill casting for Harriman B-50 Box cars, set of 2. Sill is 8'-4" wide and 10' high at the ends and 16" high over the coupler pocket. Poling pockets are 8" diameter.